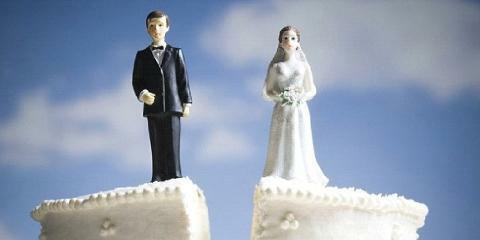 Are you one of those that have unfortunately entered the one-way street that leads to divorce? If so, instead of going into an emotional breakdown, the best option is to understand and control the bigger picture. Instead of hysterics, the best move is pre-divorce financial planning that will ensure to protect your and your kids’ future. You should immediately go into action and secure your financial assets, check loans that are not your liability and gain personal control over all financial transactions that are jointly held by you and your spouse. 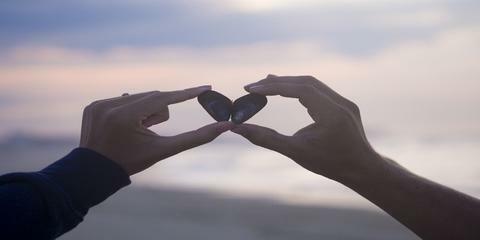 Pre-divorce financial planning, will not only be a protection tool but it will be a strong message to your spouse signifying the failure of any financial manipulation and malice. First of all, you should know which assets are in your name and how much cash solely belongs to you. Also, you should know exactly where your cash and assets are. You should get official statements verifying your claim over these assets and cash. These statements will also clarify if you have any liabilities, loans or mortgages in your name. Proper financial documents will be the proof in the court of law that will guarantee that you get your proper legitimate share and are not swindled by your spouse. For guaranteed protection, get everything in writing. All proof of documentation regarding your bank accounts, tax forms, any brokerage firm statements or any other financial statements, all must be with you in writing form. Never rely on electronic copies of these aforementioned documents because they can be made inaccessible to you by your spouse by a simple change of the password by your vindictive spouse. So, get a print out of every document. Divorce is a time consuming and an expensive proceeding. Make sure that you have sufficient liquid cash with you that will support you through this time. Attorney’s fee, your everyday living expenses, and bills, all require ready cash to be available. So, to make sure you are not left without any cash by your petty spouse, move certain assets and cash into your personal bank account before you proceed with your divorce. This simple precaution can give a big cushion to all the financial liabilities that will be attached to the divorce proceedings and help you sail safely through these tough times. Many married couples have joint accounts where either partner can withdraw money from the account. But with impending divorce lurking on the horizon, it’s a sensible move to close down all joint accounts and move your cash to your own personal account before your spouse cleans up the whole account. But in doing so, it is imminent that your spouse will create legal problems for you like freezing the accounts or not signing the account closing form so no money can be transferred or withdrawn by you. So, when proceeding with closing down of joint investments and accounts, proceed under the guidance of your attorney to ensure legal protection for your act. Married couples often have a joint mailing address, where all their official documents are mailed to. But if a marriage is threatened by divorce, you should immediately start building your own financial identity. Maintaining your privacy is the first priority. You should get your own mail, set up your own personal PO Box and divert all your mail to it to maintain reliable secrecy. Do not wait and give your spouse the chance to block all your financial assets and cash. Always get your credit report before you even think of starting any divorce proceedings. You might be surprised as to where your spouse may have extended his credit, only to be dishonored. As marriage has many jointly held endeavors, a messed up credit of your spouse will adversely affect your credibility also. So, to avoid any problems or mistakes regarding your monetary investments, it is essential that you get your credit report, fix any problems and then start your new financial life. Be very vigilant, as divorce laws vary from state to state. Hire a good lawyer who will guide you through the legal divorce proceedings that are governing the state you live in. Divorce is a painful experience but doesn’t get carried away in your emotions. To build a secure, financially stable life after divorce, we have enumerated the aforementioned steps that we hope will ensure a secure future for you and your kids, after passing through the tough divorce proceedings.